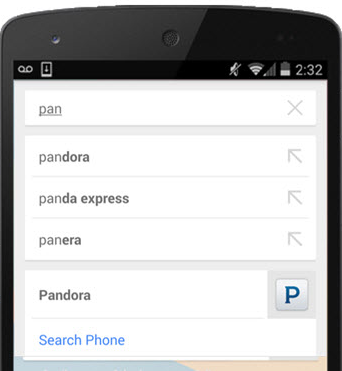 What is App Indexing for Google Search? The user needs to have your app installed. 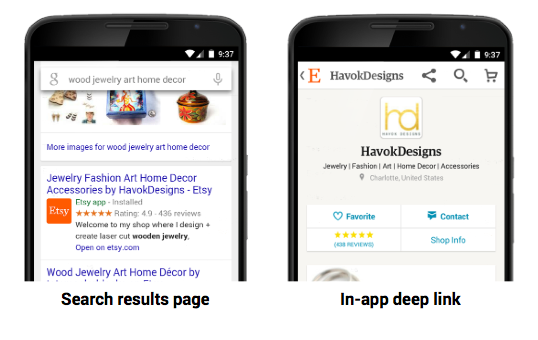 You need to establish the relationship between your web pages and app deep links. Use the App Indexing API to confirm. In order for Google to index the content of your app (and for users to enter your app from Google search results), you must specify intent filters in your app manifest that define how to reach specific content inside your app. In order for Google to confirm your app is the official application for your website, you must connect your app to your website through the Google Play Console and Webmaster Tools. Select the application you’d like to verify. On the left menu, click Services & APIs. Under “App Indexing from Google Search”, click Verify website. On the left menu, click All Messages. Open the verification request message. Review the information in the dialog. Once approved, your app will appear on the Associates page of your Webmaster Tools account and you can provide deep links for each web page that has a corresponding deep link. Using a <link> element in the the <head> section of a page. 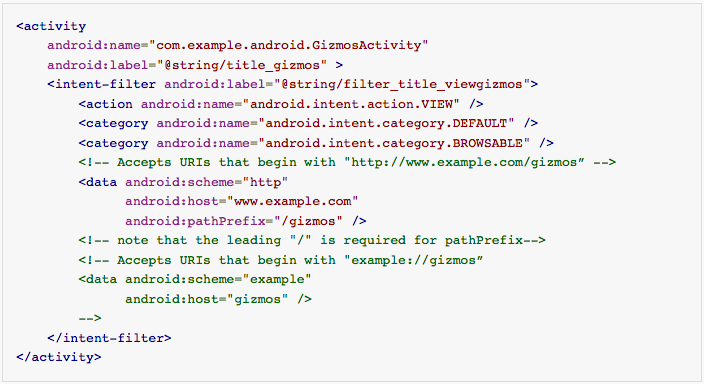 Using an <xhtml:link> element in the Sitemap <url> element specifying the page. Using Schema.org markup for the ViewAction potential action. package_name: application ID as specified in the Android Play Store. scheme: the scheme to pass to the application. Can be http, or a custom scheme. host_path: identifies the specific content within your application. The App Indexing API provides a way for developers to notify Google about deep links in their native apps and allows the Google app, version 3.6 and above, to drive re-engagement through Google Search query autocompletions as shown below. Finally, once you have done everything in the launch checklist, Google will be able to start indexing your app. You can check for any issues that arise in Webmaster Tools.